The antique cars have a rather terrible capacity at parks like CP. That's why they always have a line. But it all depends on how many cars they can have going on the circuit at one time.You also have to remember that a family of 4 will likely require two cars to themselves, because both kids will want to drive. Could be 2020. Even the news said that. I want to start a petition to bring back Phantom Theater!!!! I feel bad for the people who actually thought a coaster was coming to KI in 2009.
why feel bad we did get a big snake in 2009. Love the addition of the antique cars back to Coney Mall. Was really expecting something to do with Racer with some of the talk about visits from execs and people from RMC. Would have loved to hear about a refurbishment of it alongside this. Was also expecting it given it was National Roller Coaster Day, but didn't realize i was the anniversary of the closing of the old antiques cars. Like I said too some of us made a mountain out of a mole hill. And now we’re upset that the mountain is still a mole hill. I am glad to see they are bringing back the cars, they're a fun attraction for the whole family. I'll be interested to see how much landscaping will go into this iteration, it would be nice to have some and not have it just be a bunch of flat concrete track. For me, KI actually have 4 top coaster collections that are second to none. I will put Magnum and Maverick as the only ones rival the top 4 at KI. MF, Valrayvn, GateKeeper, Roogaroo, Wicked Twister as decent to ok rides. TTD is thrilling when riding for the first time. I guess I have ridden it too many times. 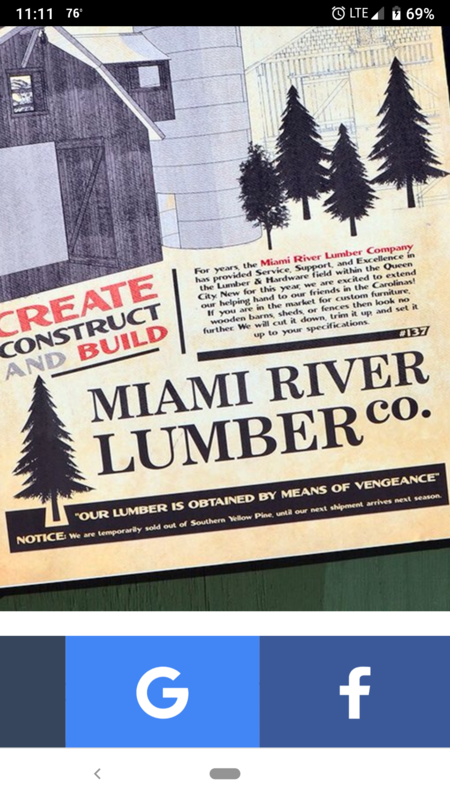 Mystic Timbers was just added last year. Did anyone really expected a new coaster without having any significant construction going on in the park? Really? Antique Car is a great attraction. I really wished they bring back THE Flying Eagle from Carowinds since the ride was removed. I mean when they do stuff like say "we are temporarily sold out of southern yellow pine until our shipment arrives next season" you're gonna turn some heads, you're gonna make people think an SOB revivial, that ride made southern yellow pine infamous with it. It just added fuel to the fire with the 2 other little SOB mentions in those posters. Could we be seeing a return of Route 666?.... Anyone? I’m excited for the new ride! It should be a new highlight of Coney Mall, and one of my personal favorites! @Bwb.32The fact teasers were at CP and not KI made me think it wasn't next year. That, and the fact we just got Mystic Timbers. Edit: You're right. The media handled it awfully. Just out of curiosity, did you happen to catch that guy's reaction to the announcement? I overheard him say beforehand, "I know it's not going to be announced today" when he walked past. I think he may have also been there to tryout as Uncle Fester for Halloween Haunt this year. You’d think he’d be encouraging the long rumored Adams Family ride. I am looking forward to the cars...especially during Halloween Haunt...hopefully we will see the return of Route 666. Thanks Kings Island for keeping the park fun for all levels of thrill seekers. For the record, Southern Yellow Pine is not unique to Son of Beast. Most Great Coaster rides are built with it too, including Mystic Timbers. 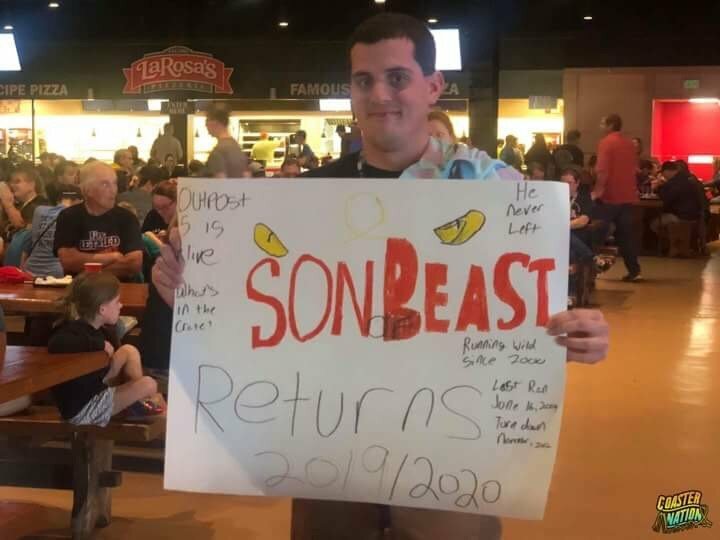 I just want to say that the whole Son of Beast comeback thing is dead and buried. There's a tombstone in the Banshee queue line. Done. Pay your respects, and move on. The park is never gonna go there again.